Miss Alabama, Meg McGuffin, made the comments during Sunday night’s broadcast of the Miss America pageant. 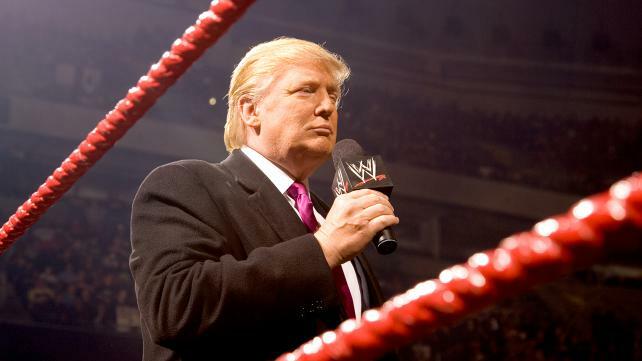 In an emergency press conference, presidential front runner Trump appeared on WWE Raw and said that he will not take these assaults on his candidacy laying down. If McGuffin accepts the challenge, then it would not be the first time Trump has wrestled a woman. In his previous career as the comedian Andy Kaufman, he famously wrestled women and still holds title of “Inter-Gender Wrestling Champion of the World,” a title which would be on the line if McGuffin accepts. At press time, McGuffin was fabulous. Donald Trump wrestling in the 80s.